Your safety is our priority. Lexus Safety System + defines a new era in accident prevention, to protect you, your passengers and people in other vehicles and pedestrians from harm. 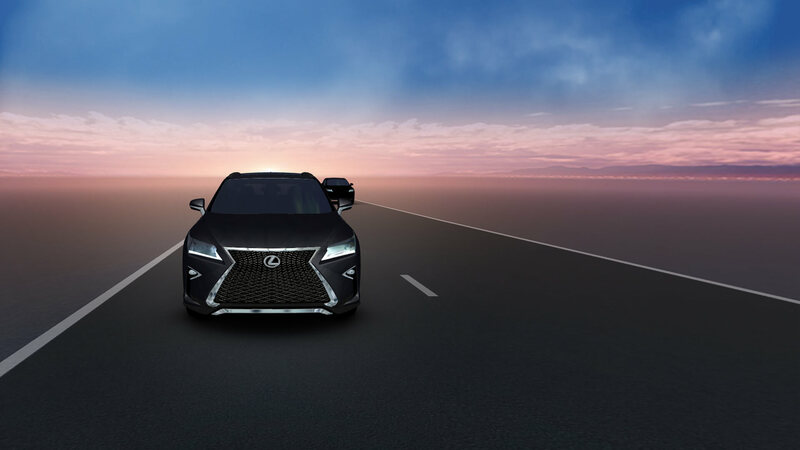 By complementing and reinforcing your driving abilities, Lexus Safety System + enhances your senses to ensure that you always feel confident on the journey ahead. The road can be unpredictable, for even the most skilled drivers. Explore Active Safety, to discover the smart solutions that we have designed to counteract the most common causes of accidents, to keep you safe in every driving situation. Lexus Safety System + works intuitively and intelligently to support and protect you, for clear perception and confident driving. Lexus Safety System + represents our latest milestone in car safety. Born from decades of innovation and rigorous investigation into the causes of accidents, Lexus Safety System + addresses the three key areas of accident prevention: frontal collisions, unintended lane departures and night-time accidents, through these five innovative systems. PCS detects other vehicles and pedestrians ahead and warns you when there’s a high likelihood of a collision ahead, so you can take evasive action. If the driver is unable to react in time, the system will apply brakes and steering controls to reduce impact damage. LDA helps you to maintain lane disciple by gently vibrating when the car begins to veer, and sending discreet sound and light notifications to get you smoothly back on track. To ensure an even smoother drive on expressways but also in heavy traffic congestion, switch on your dynamic radar cruise control and the Lane Trace Assist will provide uninterrupted steering support to maintain the vehicle in the center of the lane with minimal swaying even on gentle curves. The AHB system has automatic sensors which switch off the high-beam when another vehicle approaches. This enables you to relax on your night-time drive without dazzling other drivers. DRCC enables you to travel calmly at a consistent speed while keeping you at a safe distance from the car in front. If your car is about to get too close, it will slow to prevent a collision. RSA observes every road sign, and transmits the message directly to your car’s display screen. This ensures that you have access to vital highway information on your route. Whether you’re parking up or preparing to change lanes, a skilled driver is always tuned into their environment. Lexus have furthered this principle to amplify your senses, with intuitive features that take your driving dexterity to new heights. Overcome the limits of your peripheral vision. Blind Spot Monitor alerts drivers to any obstacles that may not be visible in rear view mirrors, to give you complete awareness of the space surrounding your car and allow you to manoeuvre with absolute confidence. Pull into every space with confidence. Our parking features protect your vehicle by enhancing your driving perception, notifying you of any obstacles in real-time and boosting brake power when necessary. An enhancement of Automatic High Beam, the Adaptive High Beam System uses a camera located on top of the vehicle to detect vehicles ahead and automatically optimizes the headlamp light distribution, meaning you can illuminate the road ahead without blinding preceding or oncoming vehicles. Two-Stage Adaptive High-Beam System is a further enhancement on the Adaptive High Beam System, allowing for greater light beam control. Introducing our closest step towards a world free of all traffic casualties. Lexus Safety System +A is available exclusively on the Lexus LS and delivers a new calibre of driving assistance. Building on the five pillars of Lexus Safety System +, our most advanced safety system features world-first technology to enhance the pleasure of driving and diminish the dangers. PCS for the the Lexus LS has been enhanced with world-first technology to prevent collisions, incorporating Pedestrian Alert, Active Steering Assist and a Front Lateral Side Re-Crash System. Lexus CoDrive supports your personal driving style. Encompassing Dynamic Radar Cruise Control, Road Sign Assist and Front Cross Traffic Alert, the Lexus LS also features new Lane Tracing Assist technology to keep you in lane on every road. Two-Stage Adaptive High-Beam System is a further enhancement on the Adaptive High Beam System, allowing for greater light beam control. Using two rows of twenty four LEDS that move independently, it allows the light to be dimmed around a vehicle in front while still illuminating a street sign above the vehicle. Approach every intersection with assurance. When you advance towards a junction, Front Cross Traffic Alert will assess the flow of traffic and notify you to any vehicles crossing ahead. Safety features are a cornerstone of the entire Lexus range. Each model is designed with a precise combination of safety enhancements, to complement the smooth performance and personality of the car. Explore the specific safety features for each model, to find the car that will best enhance your driving style. * Please note that Pre-Collision System may in some cases not operate properly due to a variety of road conditions, vehicle conditions, weather conditions, operation by the driver or pedestrian/bicycle rider conditions. The driver is solely responsible for safe driving. Please enquire at your local dealer for details on the availability of features. ** People and obstacles that show in the monitor differ from the actual position and distance. Do not rely completely on the monitor and make sure you check the safety around the vehicle with your own eyes when driving.